WASHINGTON — Former Attorney General Jeff Sessions has drastically limited the ability of federal law enforcement officials to use court-enforced agreements to overhaul local police departments accused of abuses and civil rights violations, the Justice Department announced late on Thursday. Mr. Sessions imposed three stringent requirements for the agreements. Top political appointees must sign off the deals, rather than the career lawyers who have done so in the past; department lawyers must lay out evidence of additional violations beyond unconstitutional behavior; and the deals must have a sunset date, rather than being in place until police or other law enforcement agencies have shown improvement. 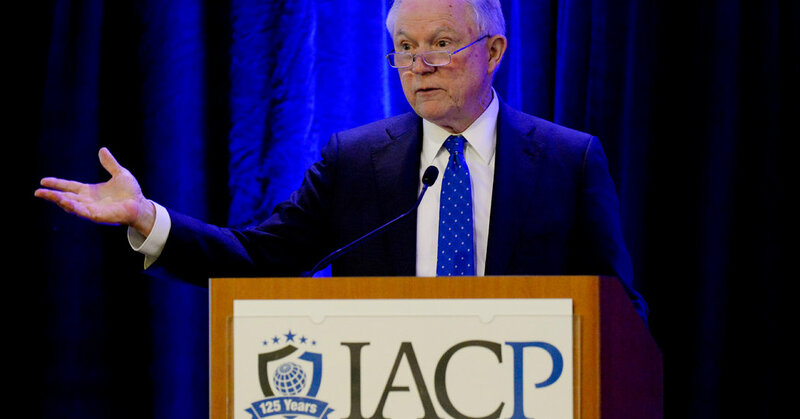 The document reflected Mr. Sessions’s support for law enforcement and his belief that overzealous civil rights prosecutors under the Obama administration vilified local police. The federal government has long conducted oversight of local law enforcement agencies, and consent decrees have fallen in and out of favor since the first one was adopted in Pittsburgh 21 years ago, but the new guidelines push more of that responsibility onto state attorneys general and other local agencies.